A sugar tax on soft drinks is needed to help tackle the issue of childhood obesity, says the World Health Organisation (WHO). In a major new report, it claims there is strong evidence that a sugar tax could work alongside other measures like reducing portion sizes and clearer food labelling. The Government is under increasing pressure to take action as it prepares to publish its own strategy for tackling obesity in the UK. Health campaigners have been calling for a sugar tax to be introduced for some time in a bid to incentivise healthier food. Public Health England says a sugar tax of up to 20% could tackle the obesity crisis by curbing demand for unhealthy food and drinks. Prime Minister David Cameron was initially reluctant to introduce a sugar tax, although his position on the matter is believed to have shifted recently. The WHO has now given its backing to campaigners, also calling for a crackdown on the marketing of junk food to children and for schools to ban the sale of unhealthy food. Being obese is associated with conditions such as diabetes and heart disease, which can be covered by medical travel insurance. Recent studies also suggest obesity is linked to several cancers. 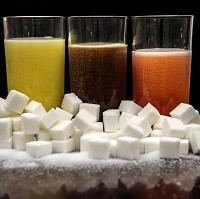 The WHO's Commission on Ending Childhood Obesity says the rationale for taxation measures to influence purchasing behaviours is strong and supported by the available evidence, adding i t is well established that the consumption of sugar-sweetened beverages is associated with an increased risk of obesity. The report claims families on low incomes and their children are at the greatest risk of obesity in many societies and are most influenced by price. It states introducing fiscal policies such as a sugar tax could encourage this group of consumers to make healthier choices, as long as healthier alternatives are made available. Doing so could also provide an indirect educational and public health signal to the entire population. There is sufficient rationale to warrant the introduction of an effective tax on sugar-sweetened beverages, concludes the commission.